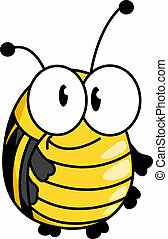 Cartoon striped little bee. 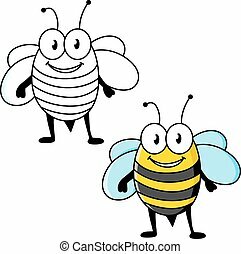 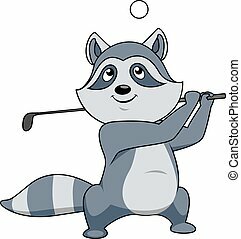 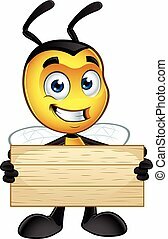 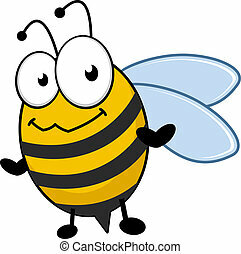 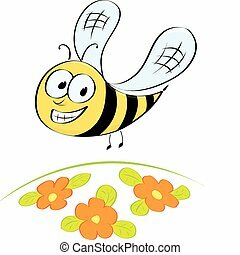 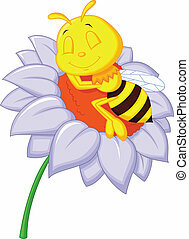 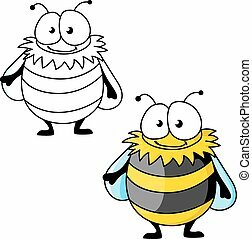 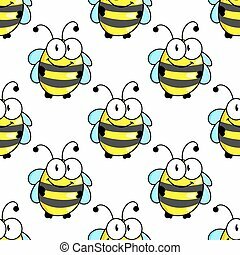 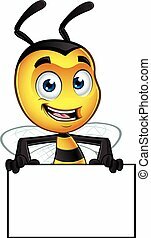 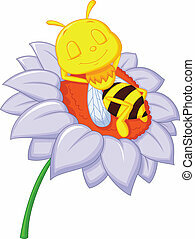 Cartoon cute striped little bumble bee or honey bee with a happy smile isolated on white, vector illustration. 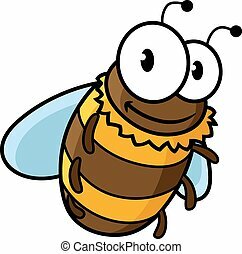 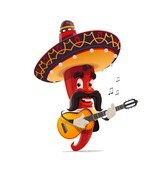 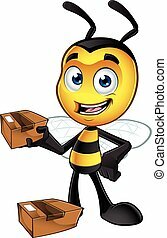 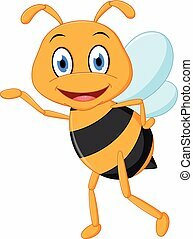 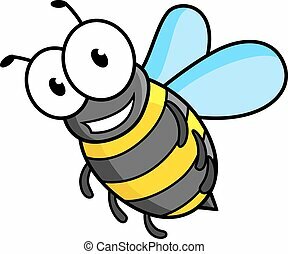 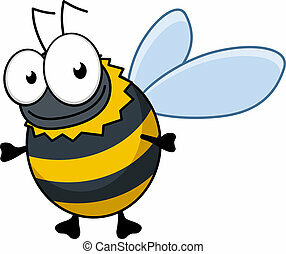 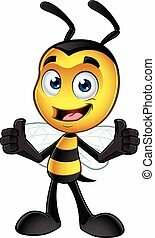 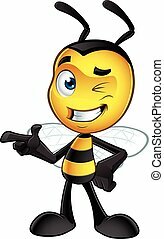 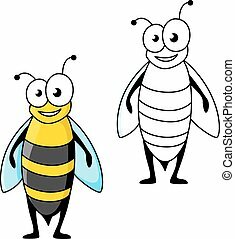 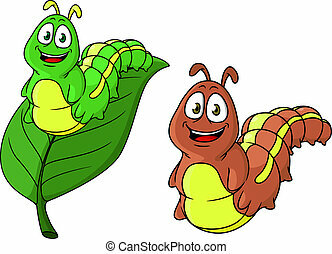 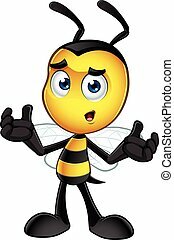 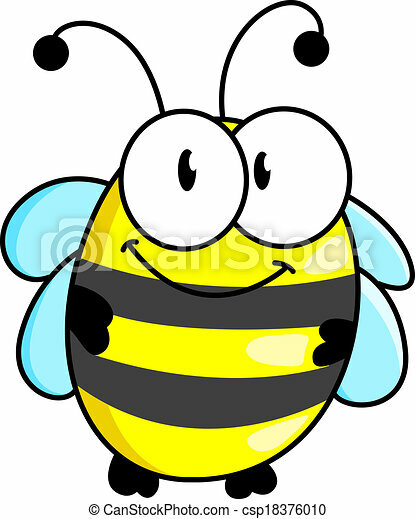 A cartoon illustration of an cute looking Little Bee Character. 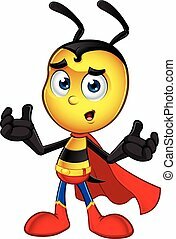 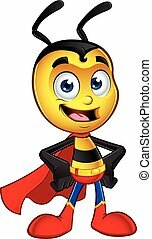 A cartoon illustration of a cute looking Superhero Little Bee Character.